The DKN M-430 exercise bike features a front stabiliser with solid wheels that provide easy transportation when not in use. It has a low front entry that allows an easy access, which makes this bike a perfect match for initial rehab. The extra-large fixed handlebar is specifically designed for maximal user comfort, while the extended forefront enables a right-up position for both elderly users and rehab patients as it helps reduce lower back stress. 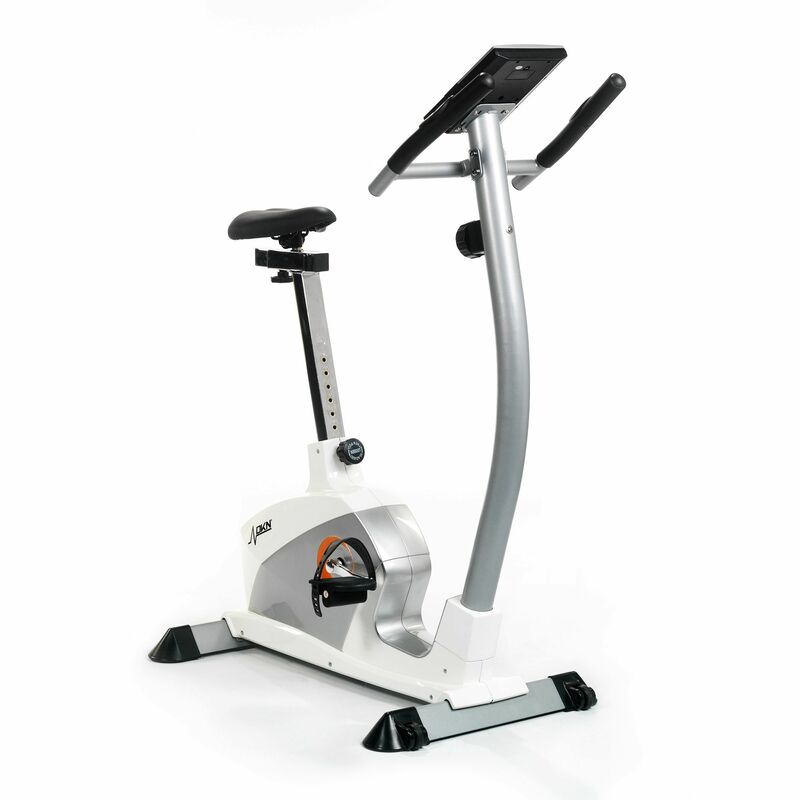 Additionally, the machine has adjustable seat position for enhanced comfort during the workout. Heart rate measurement with the DKN M-430 is possible using pulse grip sensors integrated into the handlebars of the bike. I recently purchased this bike on the advice of my doctor to recover from an operation. It is well built and the low step through really makes it very easy to get on and off the bike which is just what I need. It is also very quiet to use which is good for when I'm watching TV while using it. I would recommend this to anyone that wants a good exercise bike but doesn't want to spend a fortune. Good cheap bike that does the job. Just don't expect lots of funky features! Didn't expect it to feel like a proper exercise bike for what we paid for it, but it really does! Very happy. Thanks! for submitting product review about DKN Magbike 430 Exercise Bike.